Stock is very limited — hurry, get one now! Elegant summer beach hat. 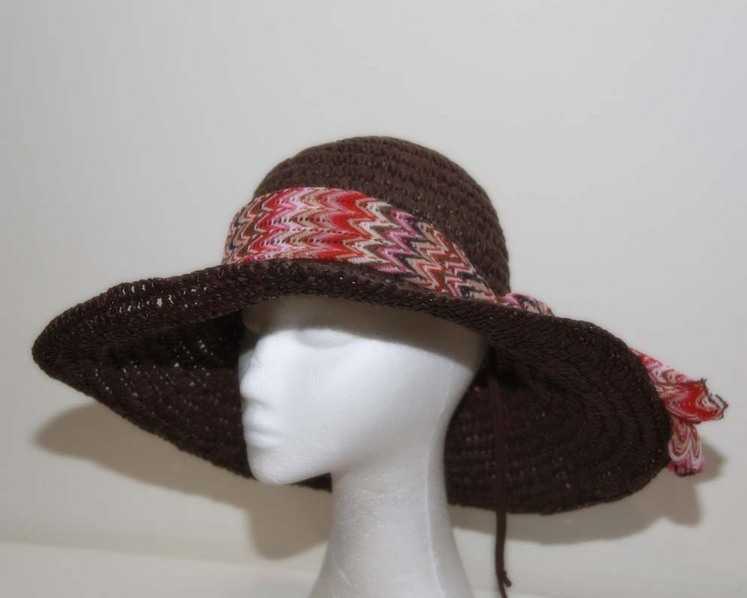 Featuring wide soft brim, it is a perfect summer casual hat. Brown base with fabric around the crown. In addition, this hat features a wire running through outer edge of the brim and you can form it to any shape you like.